The site has about 328 users daily, viewing on average 2.20 pages each. It has 3 DNS records, ns1.meganameservers.com, ns2.meganameservers.com, and ns3.meganameservers.com. It is hosted by Internetnamesforbusiness.com Florida, using Apache web server. 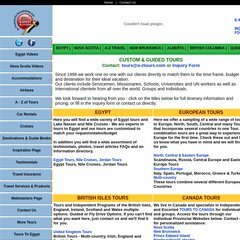 A-ztours.com's server IP number is 216.251.43.11.